Tis the season to over-consume and feel overwhelmed! This year, I’m trying to avoid this potential anxiety-trap by searching early for the best gifts for my family and friends. 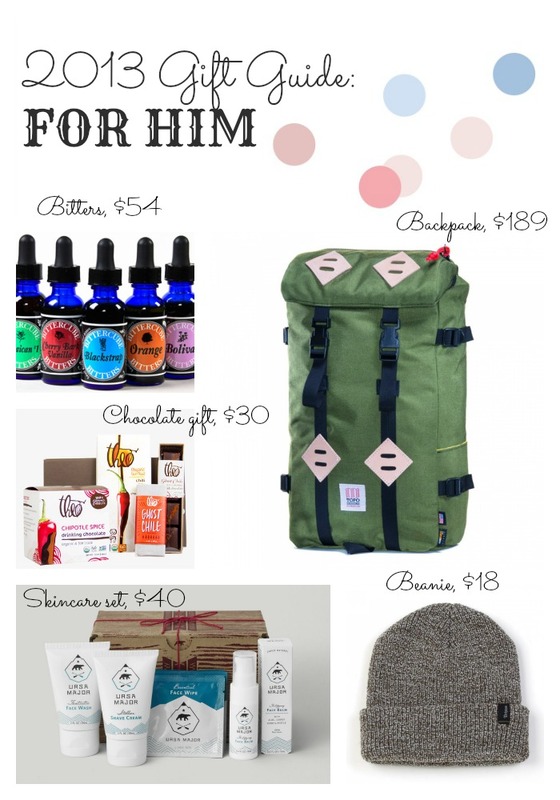 In trying to live my best life, I think it makes sense to give products and items that align with my new mantra – products that are useful, high quality, made in America if possible, eco-friendly, non-toxic and healthy. Skin care set from Ursa Major, $40. I know lots of guys don’t seem to care about skincare, but that might be because they don’t know what they’re missing. When I asked my husband to start using a nice face wash and a decent moisturizer, he noticed a difference in just a few days and can’t live without the stuff now. Cue evil laugh: Muahahahaha! Made in America. Not sure if your guy will like Ursa Major’s stuff (thought he probably will)? They have a neat sample pack for $3.00. This fun hat has just enough funk and style. 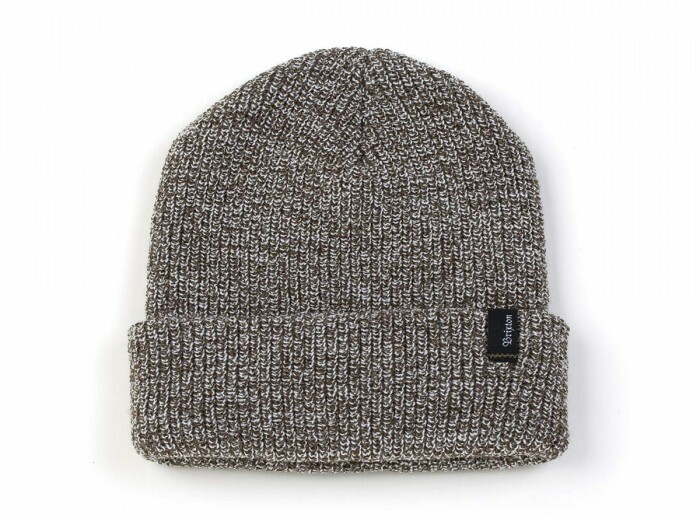 Also, it is available in tons of colors so you’ll be sure to find one for the man in your life. 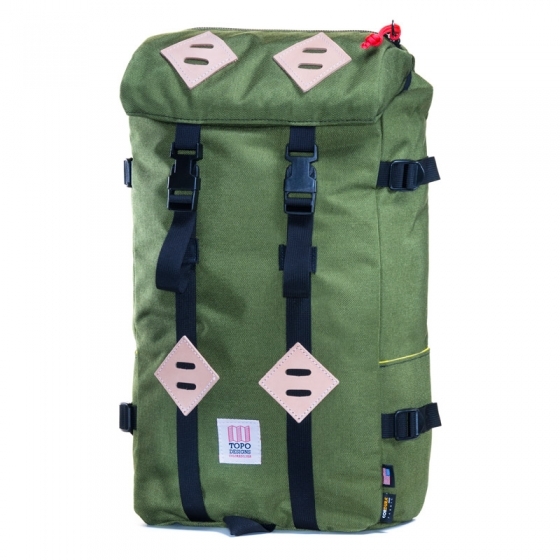 Made in U.S.A.
Topo Designs ‘Klettersack’ Backpack, $169-189. This backpack would be at home on a mountain top or on city streets. Perfect for carrying groceries, a laptop or hiking gear. Plus, it’s gotten great reviews by manly men like the guys at Gear Patrol. Topo Designs bags are all made in a LEED certified building in Colorado, USA. How cool is that? Learn more about why they make everything in the USA on their website. 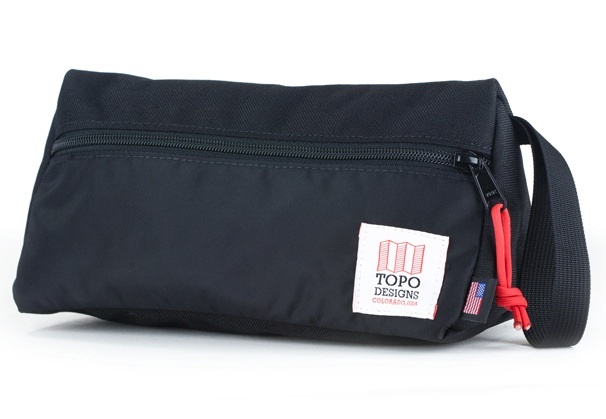 Topo Designs Dopp kit, $25. Make him throw away whatever gross (probably plastic) bag he tosses his toiletries in and upgrade with this sporty yet chic dopp kit. Like the backpack, this kit has gotten great reviews so it should hold up to whatever your guy throws at it. Also made by Topo in their LEED Certified shop in Colorado. 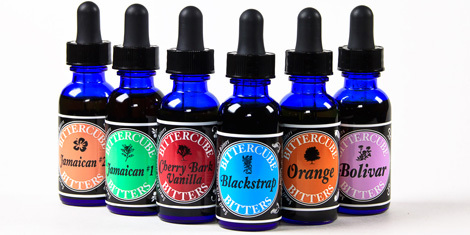 Bittercube Bitters Variety Pack, $54. Great for the guy who likes to concoct delicious cocktails. Bittercube Bitters are developed in Milwaukee, WI and created in Madison, WI. Bittercube creates the bitters by hand and that’s probably why they taste so good and work so well. My favorite flavor is Blackstrap – perfect for warm cocktails in the winter! Also check out these fun recipes and an interview with the founder on AbesMarket.com. 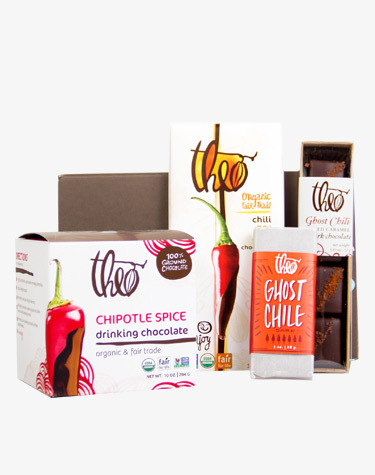 Theo Hot & Spicy Gift Collection, $30. The way to any man’s heart is through his stomach… and this collection of spicy chocolates. Even if you avoid sugar on most occasions, Theo chocolates are super high quality, fair trade and made by a lovely group of people in the Pacific Northwest. I used to live in Seattle so I might be biased but seriously this set is so cool. Ghost Chile Salted Caramels?! C’mon! Anyone who opens up this gift is going to be psyched. And perhaps slightly jealous at your awesome gift-giving skills. 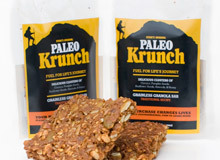 Fun treats like Paleo Krunch Pack of 5, $15. This might seem like a kooky idea but for the right person, this gift would be perfect. For instance, someone like my husband who A) likes really useful stuff and B) needs to have lots of packable snacks for work or hiking trips/etc. 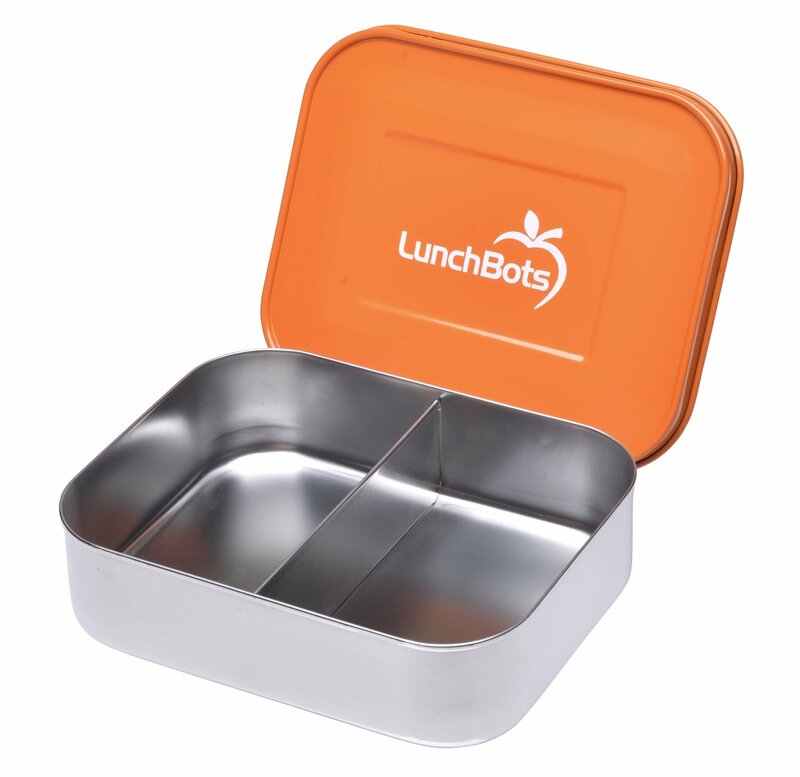 Lunch Bots are made without plastic and they clean up so well! No plastic = no gross staining if you leave your lunch in the office fridge for a few more days than you meant to. They are not manufactured in America but they claim to use responsible practices overseas. Pair one of their boxes with your favorite healthy treat and voila! A unique and personalized gift set. Like these ideas? Let me know if you purchase any of these items in the comments! And, please ‘pin’ this image or share this post with your friends.